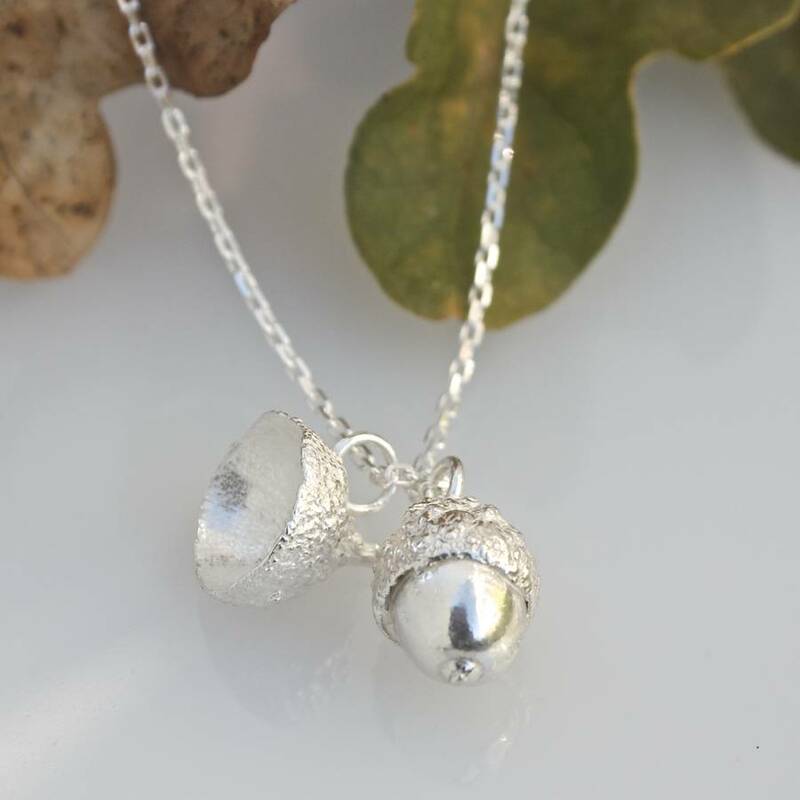 Made by Caroline Brook in her Surrey studio, The acorn comes on a pretty, sparkly sterling silver diamond cut chain in a choice of lengths. 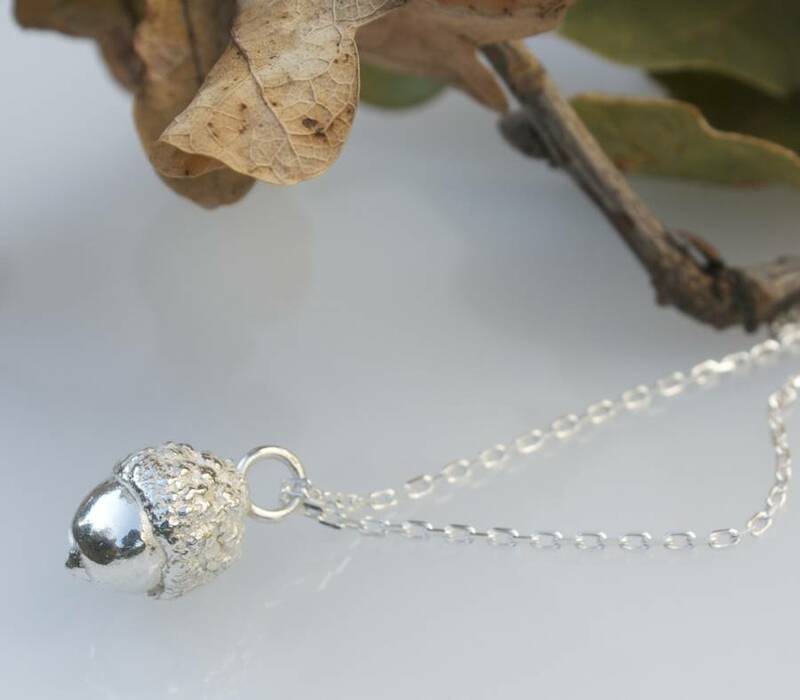 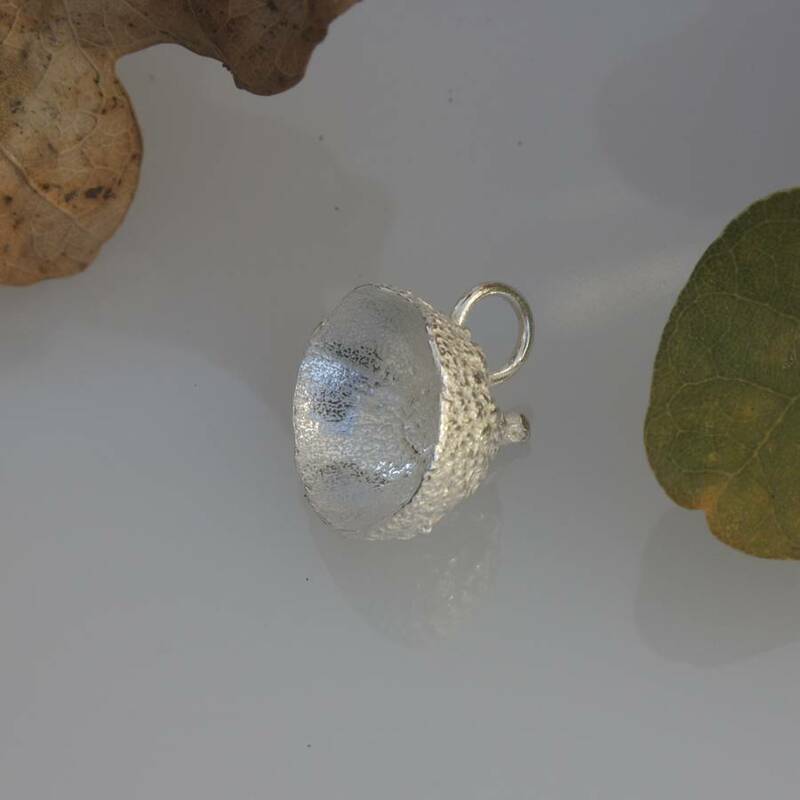 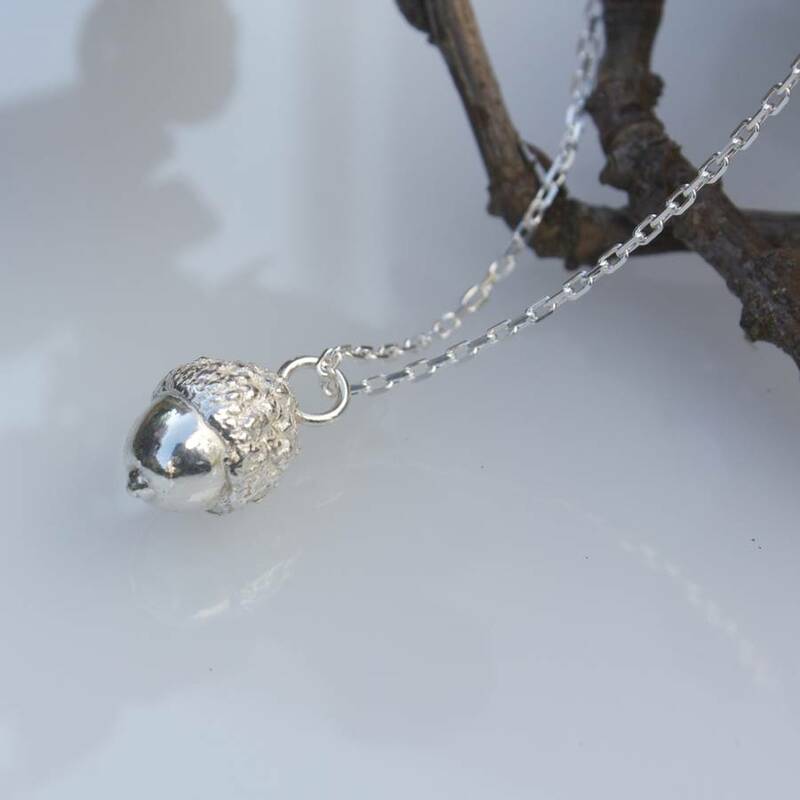 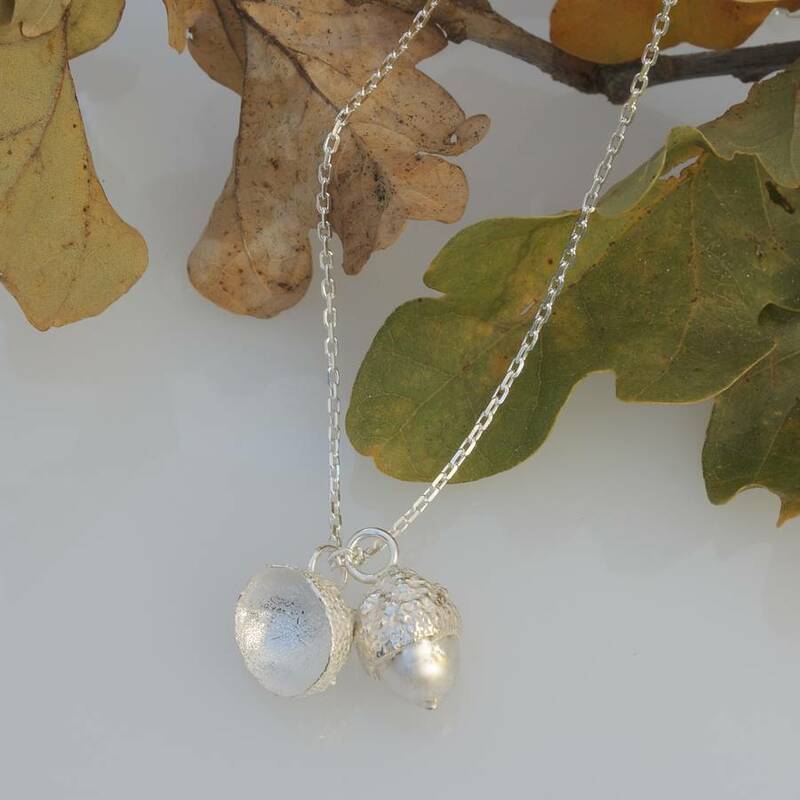 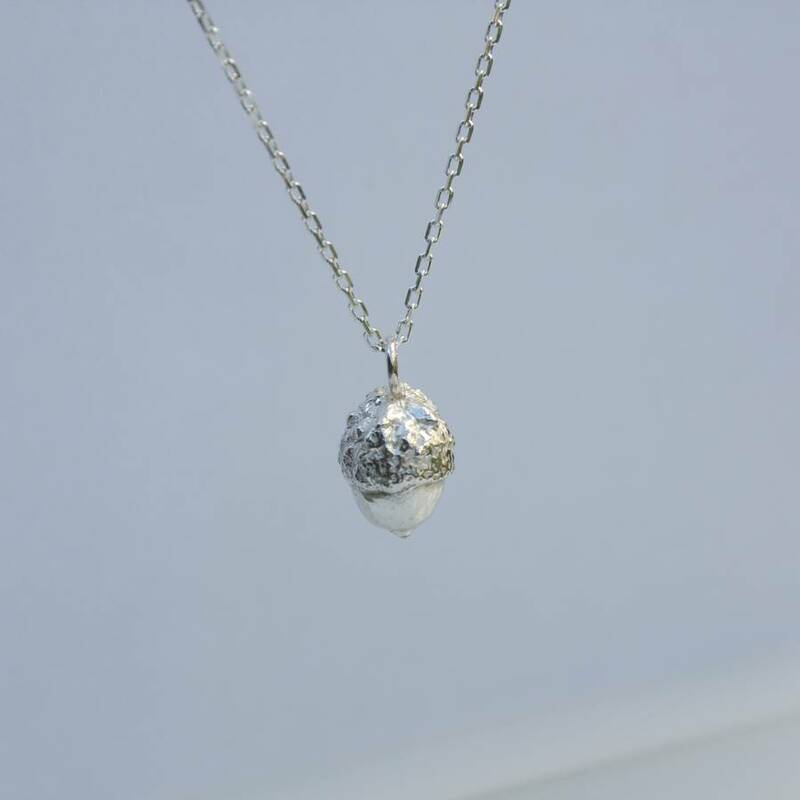 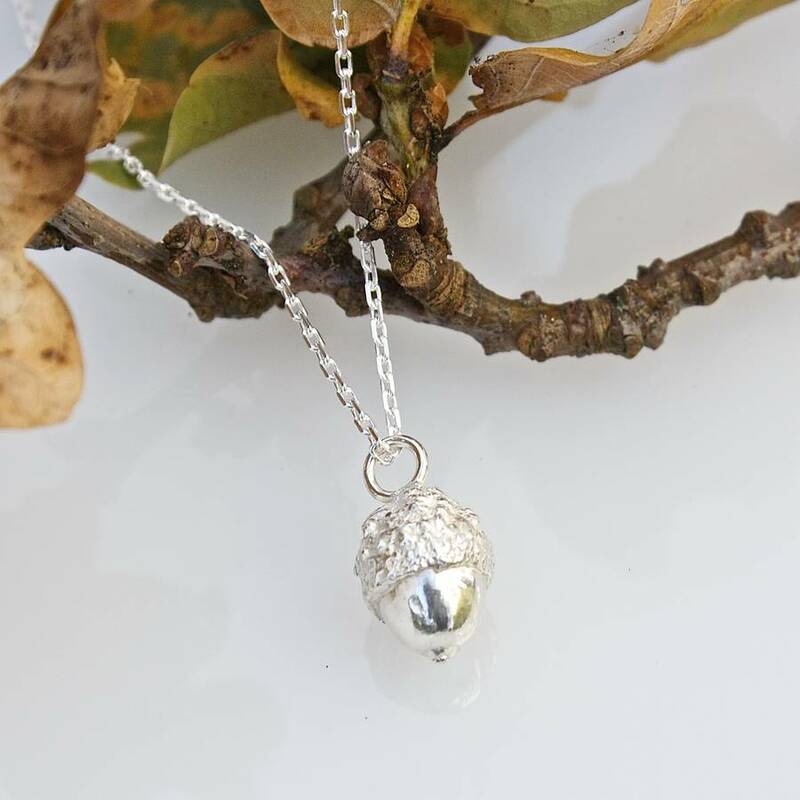 You can also choose to add a sterling silver acorn cup to create a stunning autumnal cluster necklace. 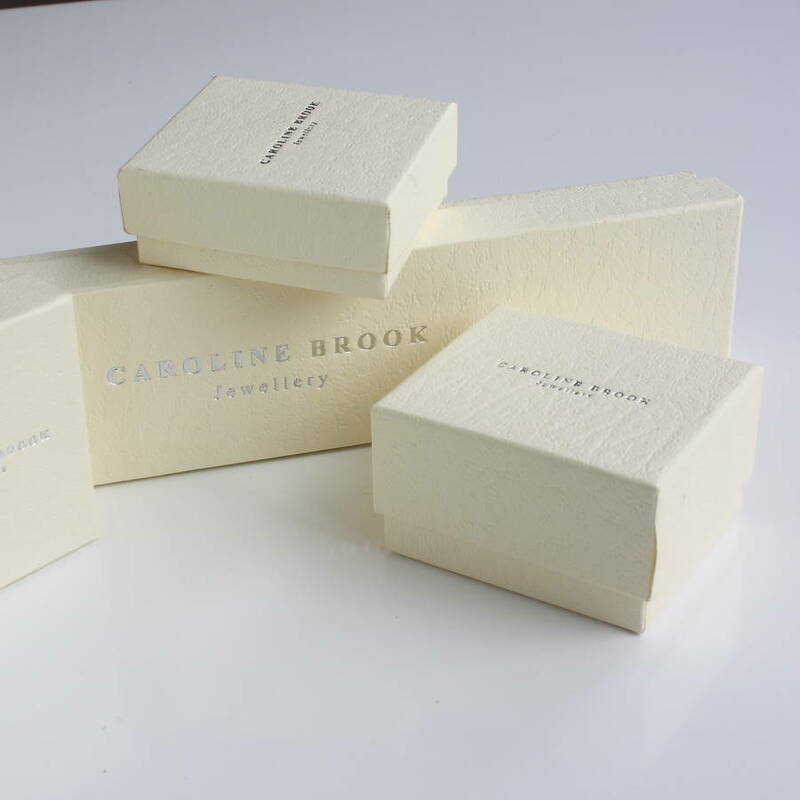 Make your selection from the drop down box.